We’re delighted to announce that our latest VR documentary Common Ground will receive its world premiere at the Tribeca Film Festival in April. Common Ground is directed by our CCO Darren Emerson and co-funded by CreativeXR and StoryFutures Academy. A passionate advocate of VR story-telling, Darren is a director, producer and co-founder of East City Films, and its subsidiary VR City. He has experienced considerable success with his VR film, Witness 360: 7/7 which was selected in competition at IDFA Doc Lab and been played at many high-profile festivals including Cannes; and VR documentary, Indefinite which won the first ever VR commission by Sheffield Doc/Fest and has been featured in the New York Times Op-Docs VR app, as well as touring festivals globally. 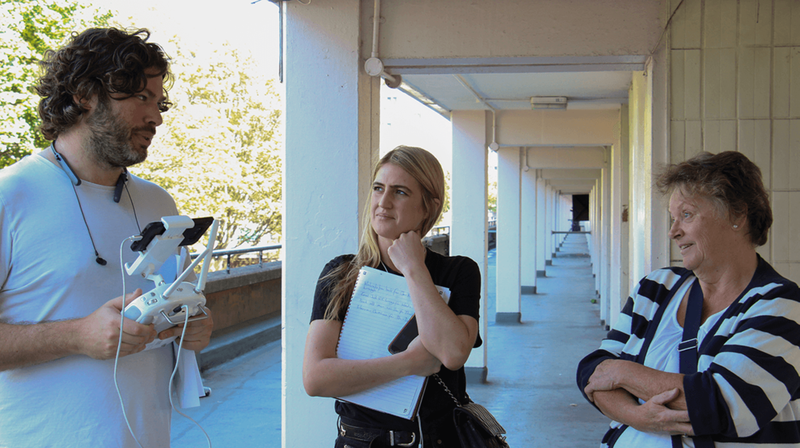 Darren Emerson on location with Alexa Pearson and one of the Aylesbury estate residents Jean Bartlett. Common Ground was one of the final five projects in the first year of the CreativeXR programme, a collaboration between Digital Catapult and Arts Council England, which provided the majority of the funding to complete the prototype experience. Darren secured additional funding from StoryFutures Academy to complete the project. A screen shot from the documentary. Common Ground explores the notorious Aylesbury Estate, home to thousands of South Londoners, and a concrete monument to the history and legacy of social housing in the UK. The Aylesbury Estate is undergoing a massive regeneration scheme that will see big changes to the community of thousands that live there and call it home. Common Ground mixes 360 video and real time environments to allow people access to areas of the estate itself and personal spaces of residents, in order to examine how design, planning, dreams of utopian living and the political will of the day has affected the ordinary people caught in its midst. Utilising stereoscopic 360 video, photogrammetry, 3D modelling, and archive the viewer enters the world of the estate from its birth in 1960’s, through its decline and up to its controversial regeneration today. This multifaceted documentary questions notions of community, examines the dis-enfranchisement and demonization of the working class, and ask whether current housing policy today is destined to repeat the mistakes of the past. One of the contributors and residents Anthony Badu on the balcony of his Aylesbury estate flat. Common Ground is an East City Films production for VR City. It was Executive Produced by Ashley Cowan and Darren Emerson. For more information please get in touch. 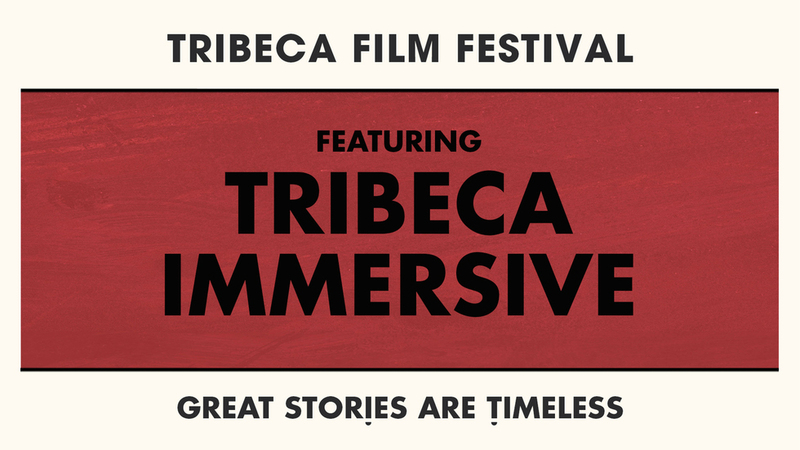 For more information on Tribeca Film Festival and the immersive lineup click below.